Just in time for the weekend DreamWorks Trolls The Experience arrives to NYC with a splash of hair, rainbows and glitter. 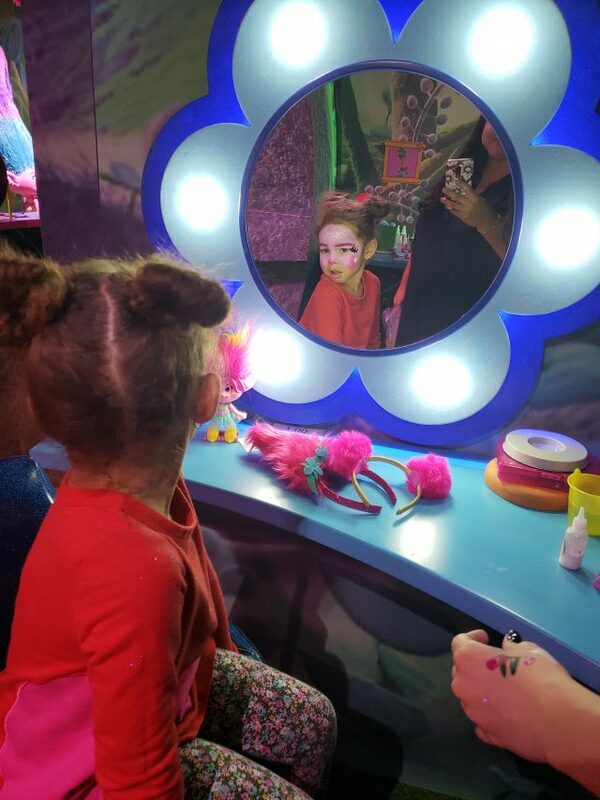 The interactive adventure includes a Trolls-inspired makeover salon, vibrant play areas, a sing-a-long and a 3D dance party and a live meet-and-greet with Queen Poppy herself. Here’s what to expect. DreamWorks Trolls The Experience is a hands-on experience that will take guests through a multi-sensory adventure full of colour, music and shareable, picture-perfect moments. As you enter a vibrant textural world get ready to celebrate Poppy’s Best Day Ever! “We designed a unique, 90-minute interactive family entertainment experience in collaboration with a wildly-successful franchise. Like all of our Feld Entertainment properties, this experience will create lasting memories for children and their families for years to come. 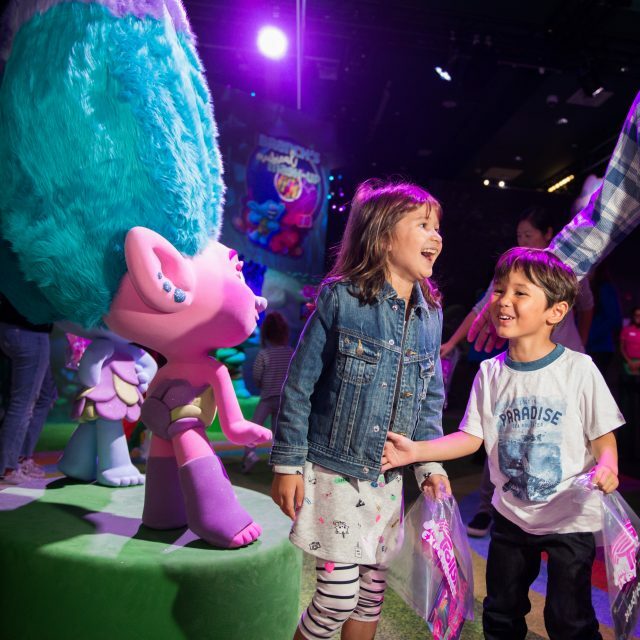 I’m thrilled that our expanded dates will open the doors to the world of DreamWorks Trolls to even more families,”said Jeff Meyer, Senior Vice President of Event Marketing and Sales for North America, Feld Entertainment. Guided by a rainbow path, you will begin your journey at the Hair We Go Salon for a Trolls makeover. There your little one can opt for a full makeover complete with a Trolls hairpiece and a full and impressive face paint. You will then make your way to Branch’s Musical Mashup to create custom beats. This interactive experience was our favourite part. Everyone works together to activate different sounds and music to build a unique song. 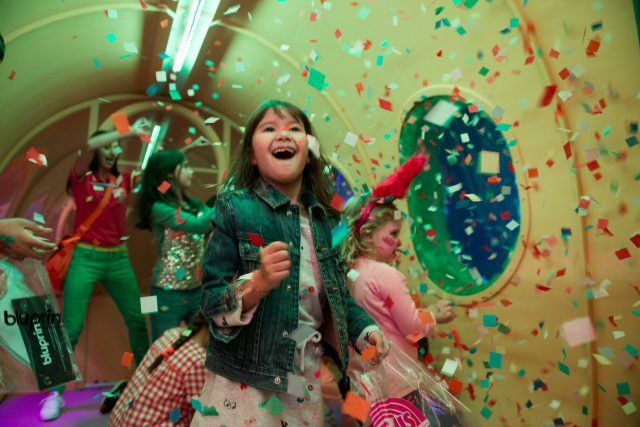 After collecting floating confetti in the Caterbus and stopping for interactive play at Critter Creek along the way, guests continue on an immersive adventure filled as they make their way to the 3D dance party at Poppy’s Best Day Ever! Celebration. Guests will end their adventure in Memory Mile, where they can snap pictures and meet with Poppy before they create a scrapbook celebrating their Best Day Ever. Birthday parties and group outings can now also be booked in the private party room. For more information, contact [email protected]feldinc.com. For tickets and more information for DreamWorks Trolls The Experience visit: TrollsTheExperience.com.